Oil Change Services in Germantown, MD | Precision Auto Inc.
Quality Oil Maintenance Service--Precision Auto Inc. Vehicle owners who care about the longevity and the overall performance of their vehicle stay current with their oil changes. Protect your vehicle’s engine by maintaining effective lubrication. 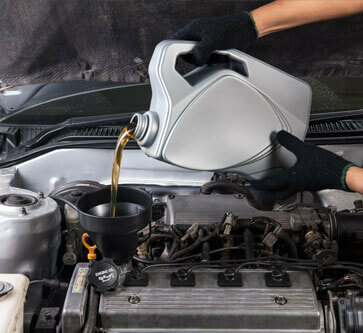 The all-important oil change is the key to your vehicle’s efficiency and extended road-life. Precision Auto is a repair shop that has served the Germantown, MD area with a full menu of quality maintenance services since 1979! Our service experts perform clean and consistent oil changes with the same commitment to excellence that we provide all auto services. We’ll consider your vehicle’s age, driving purpose, and your driving habits when designing your oil change schedule. Protect your vehicle’s engine by bringing it to our service experts for its oil changes. All we need is your vehicle, and we’ll handle the rest! Keep your oil changes convenient by letting us do what we do best–protect and preserve engines! Precision Auto keeps you off the side of the road and traveling with a healthy engine. It’s not a secret how the proper oil viscosity will prevent your engine from creating friction and overheating. However, many vehicle owners underestimate the importance of cleanliness and consistency when it comes to the oil change service. We’ll make sure you receive all the benefits of a quality oil change schedule. Save more at the gas pump and protect the engine from harmful contaminants. We use only the best quality motor oils–conventional, synthetic, synthetic blends–for your vehicle’s specific oil and filter change needs.If it’s time for another oil change, it’s time to visit Precision Auto! Our team offers the personalized and attentive oil maintenance services that extend your vehicle’s road-life and retain its resale value. The easiest way to prevent your engine’s early retirement is a quality oil change schedule. Our team of highly qualified technicians can be trusted for all auto services. Keep your vehicle in the best hands possible whether you have a complex transmission repair need or a routine oil change need. You can trust our service experts to enhance your vehicle’s overall performance with an oil change schedule that’s perfectly suited for your driving purposes. If you can’t remember your last oil change, chances are you’re long overdue. Don’t wait until your vehicle starts to “talk” back to you, or your driving experience is compromised. Stay ahead of the game by giving us a call at 301-428-3447 to schedule your next oil change. You can also use our convenient online scheduling system right now! Next time you’re in the area–12811 Middlebrook Road–feel free to stop by. We gladly accept all of our walk-in customers!